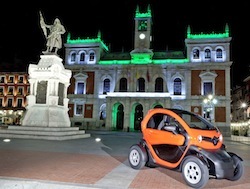 Valladolid is a smart city fully prepared to be dynamic and competitive. The philosophy "smart city" allows cities to face challenges with expectations for improvement. This involves synergy of all public agents and private citizens who, in turn, interact with the infrastructure, information technology and communication, as well as the operating and urban management systems. Our city represents an efficient tool and an opportunity to search for the excellence that enables innovation and generates economic activity, which in turn should lead to economic growth and social development. Lebanon, a country that geographically unites Europe, Asia and Africa, is a lively, international business hub with a globally renowned reputation. As one of the most stable Arab countries, with an unwavering commitment to ensure that the private sector drives the economy, ‘the Switzerland of the Middle East’, offers access to other continents, numerous countries, and millions of customers. Emden has been at the forefront of renewable energy for many years we talk with the Mayor of Emden Mr. Bernd Bornemann on what its future may hold. Mr. Bornemann, why would a company from the wind energy sector decide to settle down in Emden? Investors are continually searching around the world for the best locations in which to do business. One city, which in the past may have been overlooked by investors due to security concerns, has today become a very interesting destination. 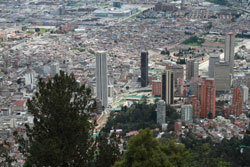 Bogotá is the capital and largest city of a country that has put in place regulations that favor the creation of businesses. This new environment has led to a five-fold increase in foreign investment between 2002 and 2010, and the country is also experiencing an oil boom. 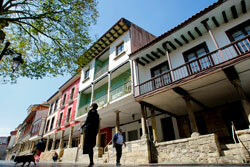 Avilés is an industrial and port city with a rich historical and cultural heritage. It lies on the north coast of Spain near the Principality of Asturias airport. Home to some 85,000 people, it is an ideal place to live and in which to invest, given the enormous transformation it is currently undergoing. Several large, multinational companies, such as ArcelorMittal, Alcoa, Saint-Gobain, DuPont and Xstrata Zinc, operate there, as do the technological giants, CSC and Software AG. Not to mention hundreds of small and medium-sized enterprises from all sectors.